I'll be doing a signing at Destiny City Comics in Tacoma, WA. on Friday, October 30th, starting at 6pm. 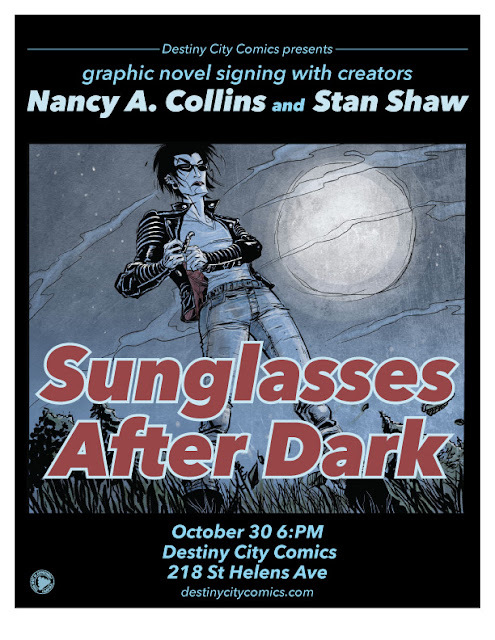 I'll be there with my Sunglasses After Dark artist, Stan Shaw.